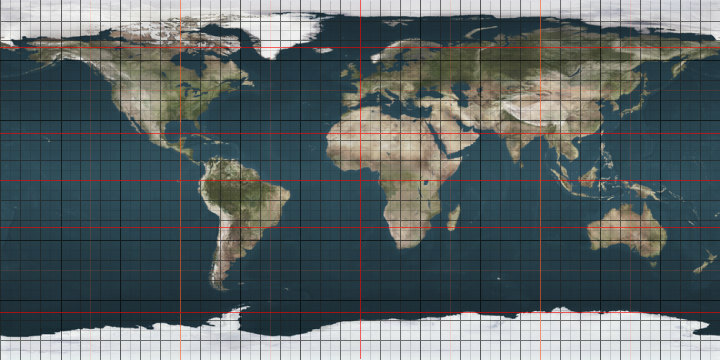 The 60th parallel south is a circle of latitude that is 60 degrees south of the Earth's equatorial plane. No land lies on the parallel — it crosses nothing but ocean. The closest land is a group of rocks north of Coronation Island (Melson Rocks or Governor Islands) of the South Orkney Islands, which are about 54 km south of the parallel, and Thule Island and Cook Island of the South Sandwich Islands, which both are about 57 km north of the parallel (Thule island slightly closer). The parallel marks the northern limit of the Southern Ocean (though some organisations and countries, notably Australia, have other definitions) and of the Antarctic Treaty System. It also marks the southern boundary of the South Pacific Nuclear-Weapon-Free Zone and the Latin American Nuclear-Weapon-Free Zone. At this latitude the sun is visible for 18 hours, 52 minutes during the summer solstice and 5 hours, 52 minutes during the winter solstice. On December 21, the sun is at 53.83 degrees up in the sky and 6.17 degrees on June 21. The latitudes south of this parallel are often referred to as the Screaming 60s due to the prevailing high-speed, westerly winds which can generate large waves in excess of 15 m (50 ft) and peak wind speeds over 145 km/h (90 mph). ^ Sinert, Richard. "The Furious 50's and Screaming 60's". mydaywithbarkly. Retrieved 2009-07-11.